Following 2017’s success, the Rum Festival will return to Trafalgar Warehouse on 27 July and 28 July. And this time the weather won't spoil it's fun! You may have heard about it back in March, however due to the inclement weather it'll be going ahead when the sun should be here to stay. Expect more than 100 rums, cocktails, street food, steel drums and salsa. There will also be plenty of opportunities to try free samples of rum. Lucy Douglas, founder of the Rum Festival said: “Sheffield was one of our first stops on our 2017 tour and we loved it! The rum market keeps growing and the people of Sheffield embraced what we do and definitely shared the rum love! We couldn’t wait to come back! “Rum is the most diverse and versatile of the spirits. Great on its own over ice, perfectly blended with your favourite mixer, or shaken up in a cocktail, rum is the perfect drink for any occasion. With a vast and diverse range of production methods and produced all over the globe in varying climates, every rum is different and there is something for everyone; and for 2018 we have lots of new rums for our guests to try”. On arrival, you'll be greeted by a Rum’un; handed a Rum Festival glass (a gift for you to take home) and a brochure, full of information on all the rums you can try, fun facts about each of the suppliers and the suggested garnish to compliment your drink. Don’t worry if you know nothing about rum there will be a welcoming team there to help you choose. Throughout the event there will be live entertainment and dancing – including steel drums and salsa, the opportunity to chat to rum industry experts and tasty food to buy. 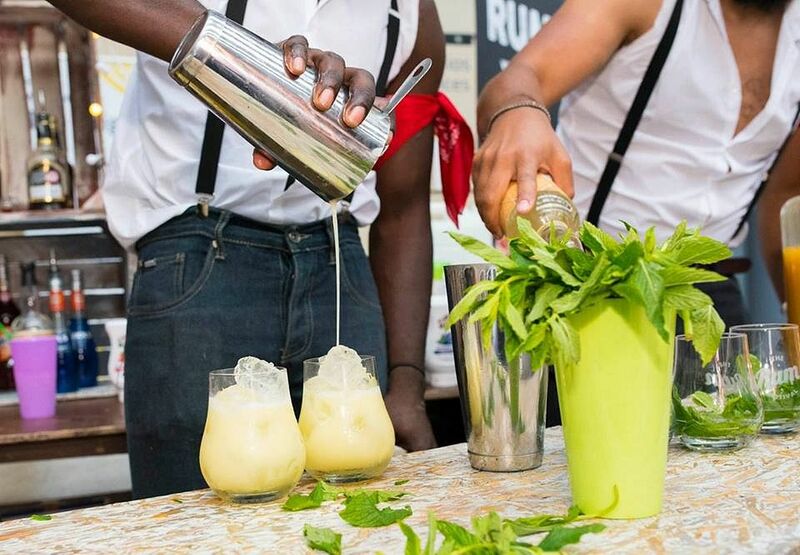 At the Sheffield event, The Rum Festival’s cocktail team will also be on hand to mix tasty rum cocktails. The event will take place across three sessions, from 6:30pm – 11:30pm on Friday 27 July and then from 12:30pm – 5pm and 6:30pm – 11:30pm on Saturday 28 July. For more info check out www.therumfestival.co.uk. Tickets start from £7.50 and are available online.